Tuesday night was one for the books. The two meetings of the Commission back to front to back as they considered the budget for 2016. It was as usual attended by 4 of the 5 commissioners. First up - the Budget. 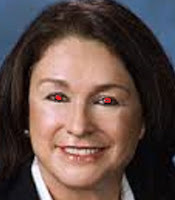 From 5:30 to 7:20, Mayor Crazy Eyes took every opportunity to rant at Frank Rollason, who she wants to get gone soon, about his plans to hire an office generalist to provide backup to the other employees when they are on vacation or sick or otherwise engaged. For his part, Rootin' Tootin' Straight Shootin' Son of A Gun Frank Rollason explained that he needed to spend the moneys on village stuff and we can't afford resident stuff like dog parks, basketball court fixin' up and senior programs. Mayor Crazy Eyes then went back to her rant about how Key Biscayne and all the cool cities use menu based automated phone systems and how she herself has stopped by the Village Hall and enquired of the workers "Are you busy?" and they said 'No" so no more people. By 7:20, they had gotten nowhere so they suspended the Budget meeting until later so they could hold the regular meeting. was totally unfair because even though he did all of these things, they made him look like a sketchy political hack with a bad record. You can read the details here. Well, anyway even though the Commission on Ethics after breaking its own rules and lying in its final judgment has tried everything they can do without going to jail themselves to protect the Gonzalez but the Truth is the best defense against accusations of slander and they were sadly unable to punish people who tell the truth. So the commission invited Joe Centorino to ramble incoherently about how hard it is to prove actual malice in a campaign complaint about falsehoods. Mr. Centorino did not address Gonzalez's false claim that he had been slandered but sent the message clearly and loudly to North Bay Village residents that if you see an ethical violation against Mr. Centorino's friend, STFU! They won't do squat about it. Having established that we are not governed by either ethics or law, the commission moved along to consider various items including approving the elevator parking for the new building on Harbor Island, advising the State Department on International Affairs, and approving the use of a vacant lot for Shuckers parking. Mayor Crazy Eyes had long since lost control of the agenda, losing her place, calling the wrong votes, and shouting non sequiturs at various points so the vice mayor took over the chairing as best he could. Around 10:30, they needed to vote on the appointment of a P&Z member and they deadlocked two to two. No one would budge on the issue and so a long time resident with an unblighted history of civic involvement was deliberately insulted by Mayor Crazy Eyes and Jorge Gonzalez because they know she can't be counted on to pay back their political debts to developers. 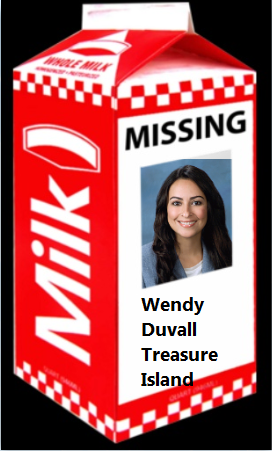 They of course would not have deadlocked on the issue if we had five commissioners but Wendy Duvall is currently vying for the Paul Vogel Award in Commission Absences and seldom appears at the meetings. I did notice that this time, for the first time, the commission did not vote to excuse her. Most people believe she'll be resigning soon. That started about 10:40 and went to 12:30. There was some compromise and by compromise, I mean the things residents want like a dog run ($10,000) and other rec opportunities were eliminated while the things the manager wants were mostly kept. The commission did tell the manager that 11% tax hike was probably enough and go back and find some more cuts which he might do if he feels like it. In the end, nothing got done right and the final budget set for September 24 at 6:30 will pass with increased taxes and diminished services. We knew this in advance anyway. It's all a joke. No one does anything. Where is Jorge Brito when we need him? Jorge Brito has given blood sweat and tears for North Bay Village. ...fighting for the rights of his neighbors in the Kennedy House and fighting for the best interests of North Bay Village . Its EXHAUSTING to be one of the few fighting for justice and being the constant voice of reason whenso few ppeople care enough to ACT.